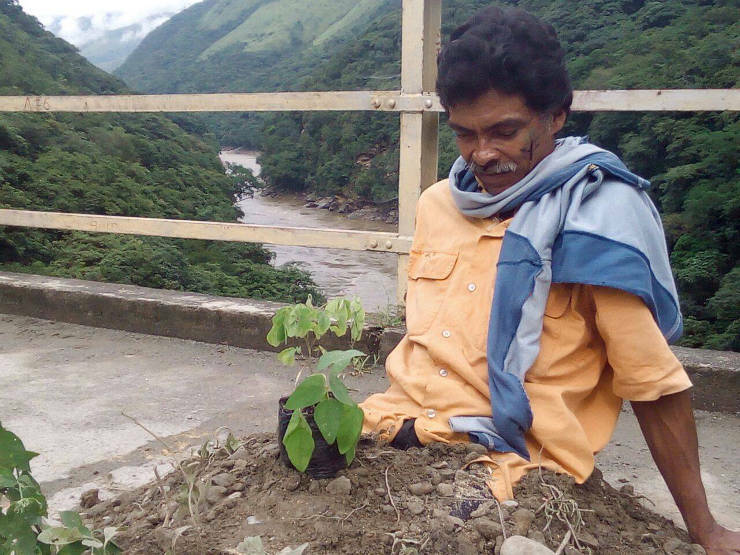 The international community must call for the protection of the Living Rivers Movement in the Antioquia department (Movimiento Ríos Vivos Antioquia) and an investigation into murders of the Movement’s members. The International Office for Human Rights – Action Colombia (OIDHACO) and the signatory organisations to this letter, would like to express their serious concerns to the European Union institutions, EU member States, Switzerland and Norway about the situation faced by the population affected by the Hidroituango development project in Colombia and about the Living Rivers Movement in the Antioquia department (Movimiento Ríos Vivos Antioquia ), which is comprised of 15 associations of victims of the conflict; people affected by large-scale development projects; women and young people from the region where the project is located. According to the Prevention and Protection Plan for the Movimiento Ríos Vivos Antioquia (MRVA) which the Movement developed with the support of the Interior Ministry, since 2013 and up until 1 March 2018, the MRVA suffered 151 security incidents, including the killings of two of its members. In light of these attacks committed by the state security forces, paramilitary groups and unknown perpetrators during evictions and peaceful protests, the MRVA requested guarantees from the Colombian State. In 2014 some of these collective measures were granted, however, they took more than two years to be partially implemented and are in need of urgent revision. The Colombian State has also granted individual protection measures to nine members of the MRVA and is studying the cases of five others. Recently, a group of Swiss Parliamentarians sent a letter to several Colombian State institutions1, urging them to implement the measures contained in the Prevention and Protection Plan. In response to the damages suffered by the population, the company responsible for the project, Empresas Públicas de Medellín (EPM) has offered compensation, however, this is insufficient. The company only aims to compensate part of the activity of barequeo 2 but does not take into account that the population in the area also work as fisherwomen, farmers and casual labourers and that, like barequeo, it will no longer be possible to do this work when the area is flooded. In addition, the census carried out by EPM to gather data on the affected population did not take into account all the beach areas where the barequeo activity will disappear and did not communicate in a timely way with all the people affected so that they could get to the places where the census was being carried out. That meant that a good number of those people were excluded from the possibility of compensation. In November 2017, representatives from the European Union Delegation in Bogotá and the Embassies of France and Spain in Colombia visited the area and learned about the situation first-hand3. On 20 April 2018, 25 members of the European Parliament sent a letter to the Colombian authorities4 expressing concern about this situation because of the possible impacts of the Hidroituango hydroelectric project. On 28 April and 1 May 2018, a blockage occurred in one of the project’s diversion tunnels in the Cauca River, leading to alarmingly low water levels in some places and floods in others5 and placing families in the area at risk. Blockages and unblockages have occurred in the last few days causing flooding of the river flow and the consequent eviction of hundreds of people 6. The geological movements and landslides in the area have caused this situation, and the EPM has not brought it under control 7. The MRVA has sent alerts about this situation and demanded answers from the EPM and the authorities. Added to this situation is the murder of Hugo Albeiro George Pérez on 2 May 2018, a member of the El Aro Association of Victims and People Affected by Megaprojects (Asociación de Víctimas y Afectados por Megaproyectos – ASVAM) from the municipality of Ituango, an organisation which is part of the Movimiento Ríos Vivos Antioquia. The circumstances of his murder are unknown except that he was shot dead in a cafeteria in the municipality of Puerto Valdivia, which also claimed the life of Domar Egidio Zapata George 8. The harassment against the MRVA has not stopped since then, as on 8 May 2018, Luis Alberto Torres Montoya was also killed. Mr Montoya was from the Association of Small Miners and Fishers (Asociación de Pequeños Mineros y Pesqueros – AMPA) in Puerto Valdivia, which is part of the MRVA. Duvian Andrés Correa Sanchez9 was also killed . In the last few days four people have therefore been killed in this area 10 which continues to be affected by problems related to the construction of the Hidroituango project. The local communities need urgent protection from the authorities. Asking the Colombian authorities to initiate a rapid and transparent investigation into the killings of Hugo Albeiro George Pérez, Domar Egidio Zapata George, Luis Alberto Torres Montoya and Duvian Andrés Correa Sanchez and to prosecute the material and intellectual authors of this crime. For further information, contact Miguel Choza Fernández, Oidhaco Coordinator at oidhaco@oidhaco.org , or tel.+32 2 5361913. 1 Available at: https://krf.se/wp-content/uploads/2018/05/Brevet-till-Juan-Manuel-Santos.pdf . 4 Available at https://krf.se/wp-content/uploads/2018/05/Brevet-till-Juan-Manuel-Santos.pdf . 6 El Espectador, “ Creciente del río Cauca, sin víctimas mortales, pero con viviendas y puentes destruidos”, 13 May 2018, available at: https://www.elespectador.com/noticias/nacional/antioquia/creciente-del-rio-cauca-sin-victimas-mortales- pero-con-viviendas-y-puentes-destruidos-articulo-755554. 7 El Colombiano, “ Hay movimientos al interior de la montaña que no podemos controlar: EPM ”, 13 May 2018, available at: http://m.elcolombiano.com/antioquia/hay-movimientos-al-interior-de-la-montana-que-no-podemos-controlar-epm- FL8692263 . 8 According to Amnesty International, available at: https://www.amnesty.org/download/Documents/AMR2383602018ENGLISH.pdf . 9 El Espectador, “ Asesinan a otro líder social en Antioquia en menos de ocho días ”, 8 May 2018, available at: https://www.elespectador.com/noticias/medio-ambiente/asesinan-otro-lider-social-en-antioquia-en-menos-de-ocho- dias-articulo-754713. 10 Observatory for the Protection of Human Rights Defenders, a joint program of the Organización Mundial Contra la Tortura (OMCT) and the Federación Internacional de Derechos Humanos (FIDH), “ Colombia: Asesinato de dos integrantes del Movimiento Ríos Vivos Antioquia, y dos de sus familiares”, 11 May 2018, available at: https://www.fidh.org/es/temas/defensores-de-derechos-humanos/colombia-asesinato-de-dos-integrantes-del- movimiento-rios-vivos.